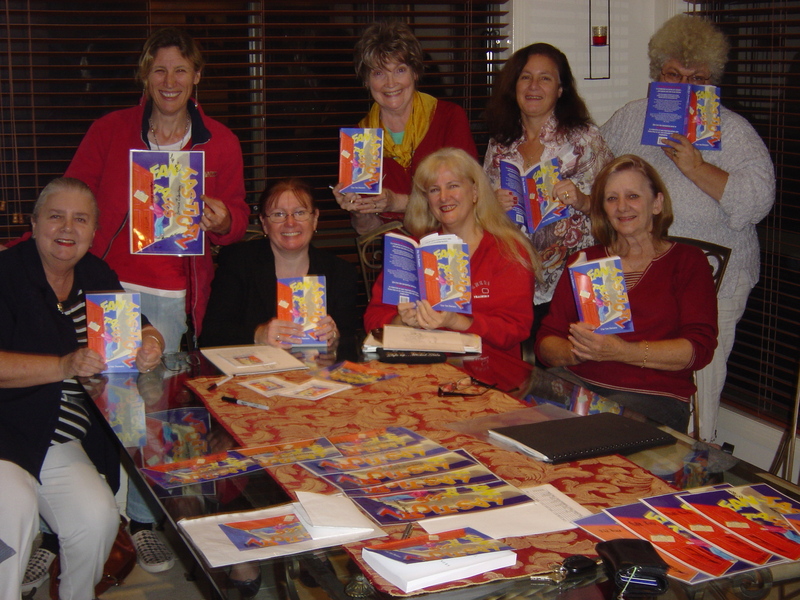 The Ten Penners began when our adults writing for children support group from the Gold Coast Writer’s Association, decided to produce an anthology in 2004. 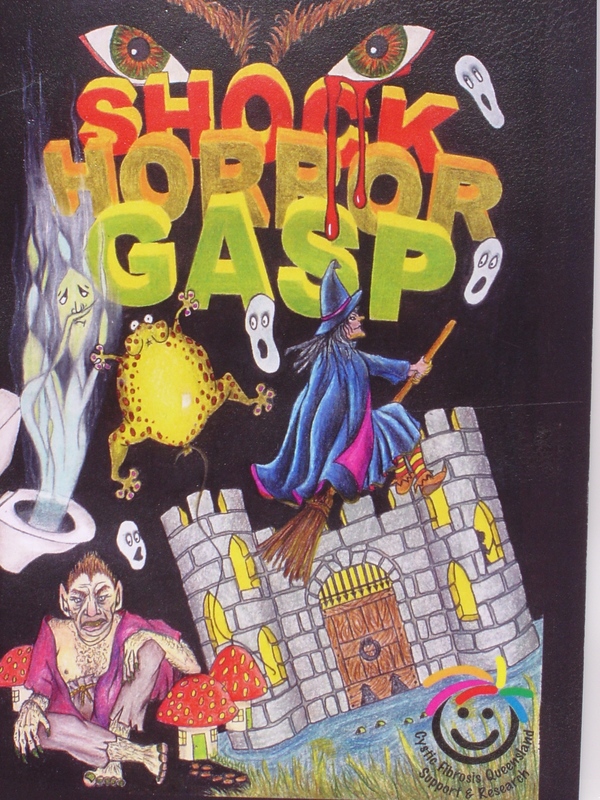 At that time the name was very appropriate since there were ten authors contributing to the book titled SHOCK! HORROR! GASP! 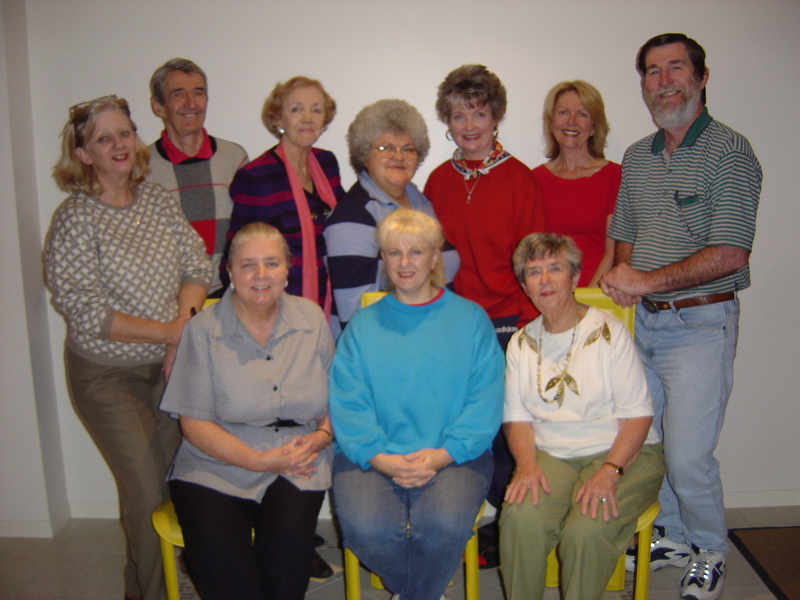 The original ten were: Lorraine Blomberg, Anna Boucaut, Margaret Cornwell, Jill Ford, Gloria Kearton, Malcolm Kearton, Marion Martineer, Maria O’Donnell, Lindy Standage and Robert Young. After the successful launch and sale of our book, some of us delved into workshops for primary school students. We still met monthly to continue honing our skills, some moved on and new authors joined. In July 2008, we decided to produce another anthology. We worked on our stories and missed the initial deadline of November 2008 because we just had to be sure our stories were worthy of being published. Hence, after a short Christmas, break eight of us agreed on the new deadline of May 2009 and booked ourselves in for the launch date. 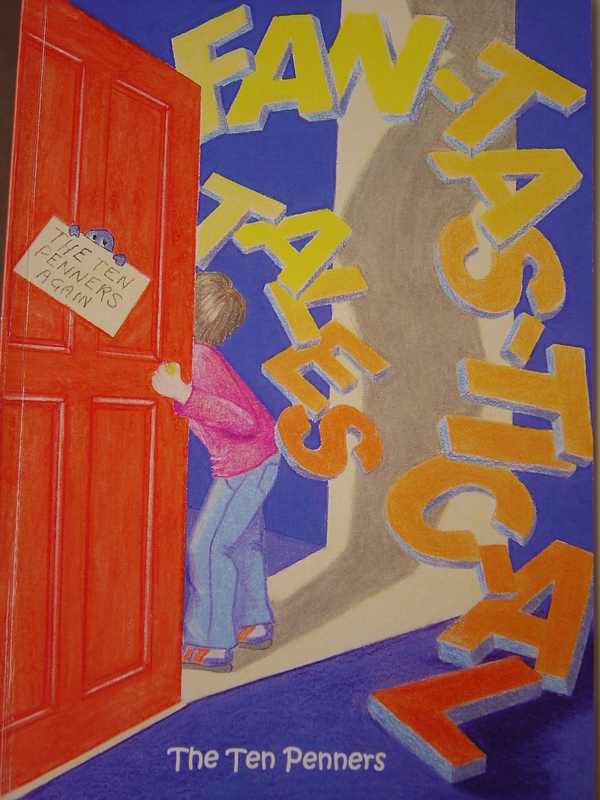 FAN-TAS-TIC-AL TALES was officially born in May 2009 and we have been proudly selling them since. Jam packed with 34 short stories, poems and three novellas! FAN-TAS-TIC-AL TALES was produced by (L-R) Lindy Standage, Yvette Coutts, Kate Pepper, Maria O’Donnell, Marion Martineer, Jill Smith, Lorraine Blomberg and Jill Ford. Copies are available from Angus & Robertson at Harbour Town, Riverbend Books at Bilambil or direct from the authors. with another line up for the group. Marion Martineer continues to be the lynchpin Coordinator, she and Lindy Standage have stories in all three anthologies, Kate Russell, Jill Smith, (with stories in two books) Julie Baythorpe (Plinko in the picture), Sharron Alexiou, Louisa Wright and Elli Housden are our newest members. We need to show off to the world that we are also now at Borders Robina in the Local Authors stand, lower level near the info desk.